Lonely Planet’s Pocket Charleston & Savannah is your passport to the most relevant, up-to-date advice on what to see and skip, and what hidden discoveries await you. Admire antebellum architecture, sample some of America’s finest food and brush up on your civil-war history at Fort Sumter National Monument – all with your trusted travel companion. Get to the heart of Charleston & Savannah and begin your journey now! 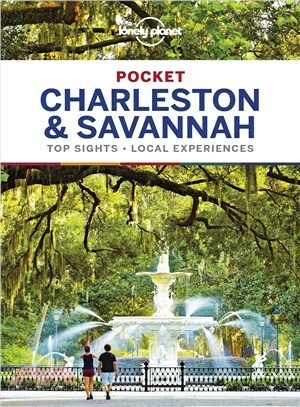 The Perfect Choice: Lonely Planet’s Pocket Charleston & Savannah is our colorful, easy to use, handy guide that literally fits in your pocket, providing on-the-go assistance for those seeking the best sights and experiences on a short visit or weekend break. Looking for more extensive coverage? Check out Lonely Planet’s USA guide for an in-depth look at all the country has to offer.